Another long and traffic filled journey on our second day in Jakarta saw us heading to West Javea past numerous rice field plantations, specifically heading for the Karawang Plant of Astra Honda Motors PT. Astra International was founded by William Soeryadjaya and became one of Honda’s many dealers in the region. Established in the market and well respected by Honda for being ahead of the curve, Astra International became the sole agent for Honda’s motorcycle distribution in the 1970s. By the 1980s, they were the largest and most advanced motorcycle operation in South East Asia, and to this day this remains true, with Yamaha keeping them on their toes. 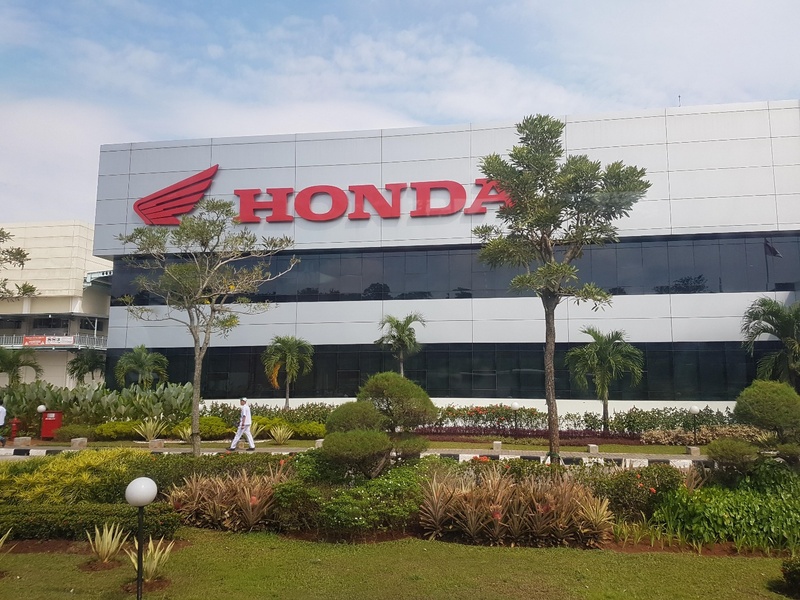 It appears that Astra Honda are achieving their vision to “take a lead in the Indonesian motorcycle market band as a global player, by making dreams come true”, with a mission to “create mobility in society with the best products and services”. This is reinforced by values of putting the customer first, truly innovating, promoting teamwork, respecting others and having integrity. With an organisation of 302,000 employees, instilling these values, along with gaining buy-in to the vision and mission is a daunting task. 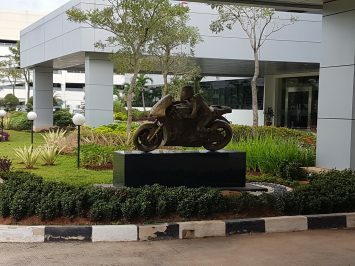 However, having spent time with a number of employees, at both management and team member level, we saw first-hand in the manufacturing plant how they are totally aligned to the vision, mission and values of Astra Honda. From a supply chain perspective, AHM needs to deal with very a significant complexity. The five different manufacturing sites, holding a total capacity worth around 5.3M units/year (=18,000+/day), are indeed replenished by over 160 suppliers which provide the over 2,000 parts required per single vehicle, and serve 29 dealers in the country. Besides the dealers, several outlets (e.g. spare parts outlets) are scattered throughout Indonesia, so as to serve a potential market of ~125M customers dominated for over 75%, setting AHM 54.2% market share apart from their nearest competitor (Yamaha). Given the network complexity, and considering the constant economy fluctuations, strict sales and operations planning is paramount, along with the rigorous logistics discipline imposed to the 40+ logistics companies in place to cope with the daily Just-In-Time deliveries from the AHM plants, so as to distribute products with different lead time requirements in relation to their buffer stock, which could range between 4 hours and 40 days depending on sales turnover. From a marketing perspective, considering the national per capita income of around 4,000 USD dollars/year and the average selling price for scooters (which contribute to 82.6% of the total sales, complemented by the other two product lines, i.e. cub and sport) of around 1,000 USD, AHM complements their products with financial services (amongst others) as a strategic asset to sustain a purchase set to last 5-7 years for their customers. We would like to warmly thank the AHM staff for their fantastic hospitality and the incredibly insightful visit at their state-of-the-heart operations… Terima Kasih!